SOLD!!! 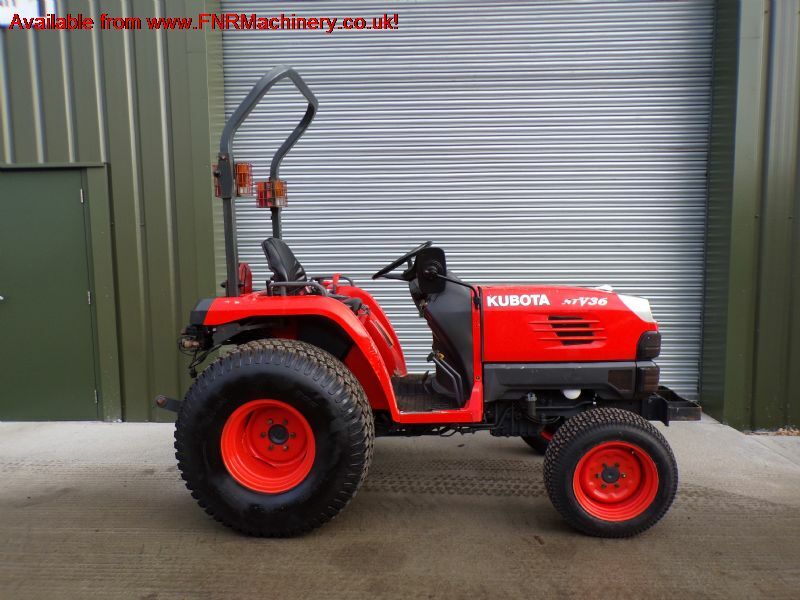 KUBOTA STV36 COMPACT TRACTOR DIESEL SOLD! Brief Description: YEAR 2009. HOURS 3779. 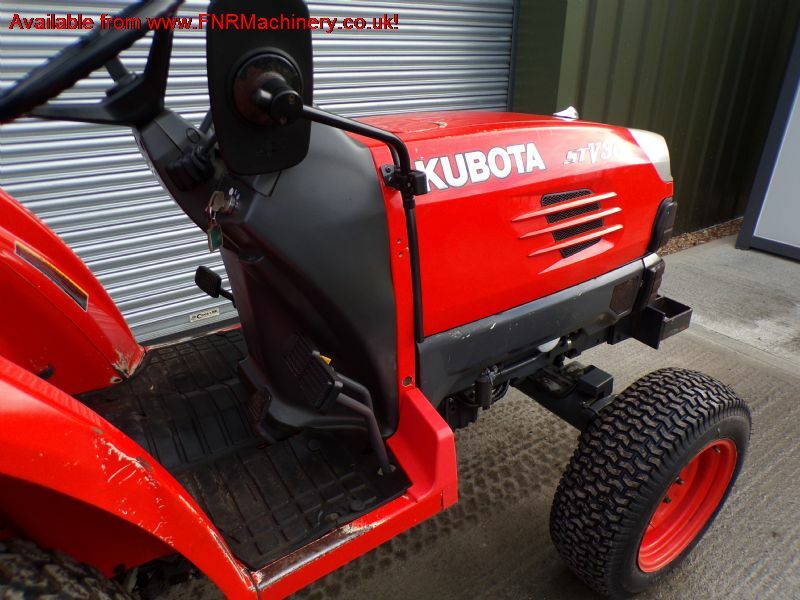 36HP 3 CYLINDER KUBOTA DIESEL ENGINE. 4X4. HST. PAS. REAR & MID PTO. 3 POINT LINKAGE. 2X REAR SPOOL VALVES. DRAW BAR. ROPS. TURF TYRES. PTO. More Information: Powerful, versatile and efficient, the STV36 features a 36HP, 4-cycle 3 Cylinder ETVCS water cooled diesel engine, HST transmission, Bi speed turn and twin wet-type disc brakes. The STV Series (the only compact in its class exclusively made for Europe) with enough power to out perform tractors twice its size. 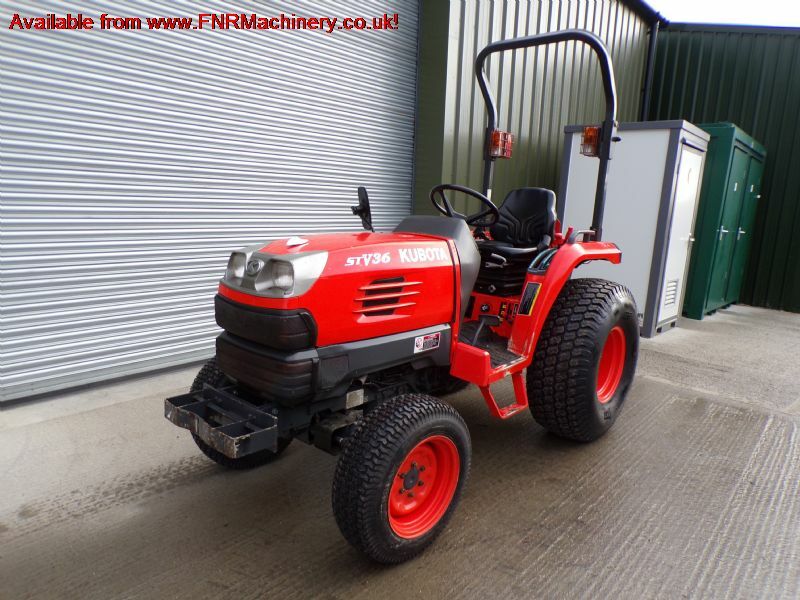 Powerful, versatile and efficient, with up to 40 HP engine � for an unmatched level of output. Speedy, agile and comfortable, for a performance sure to become the standard by which all others are compared. Maintenance and servicing are now made easier thanks to a tilt-up hood, removable side covers and front grille. 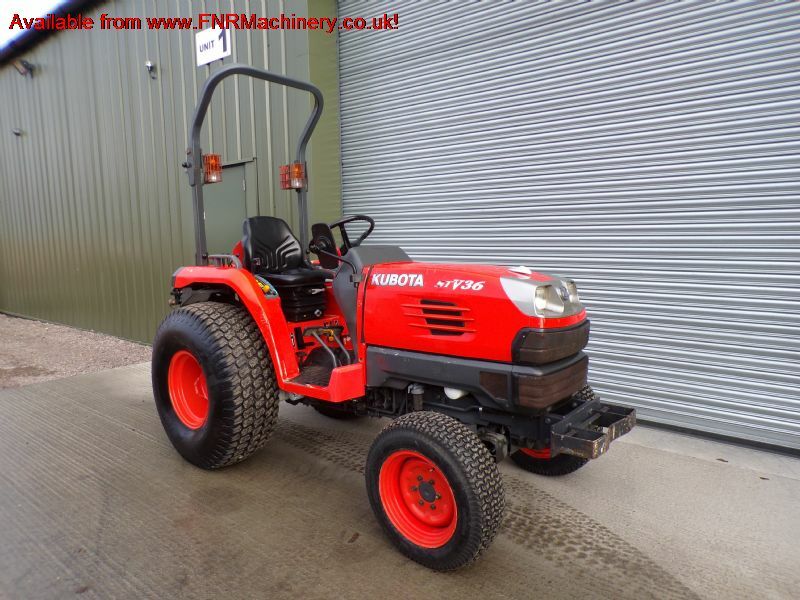 Kubota have a reputation for reliability and service that is second to none. Conveniently positioned independent PTO switch designed for simpler PTO operation, which can be used independently whilst the tractor is still in motion. Other features include new HST, power steering and optional accelerator auto throttle system to enhance HST operation. 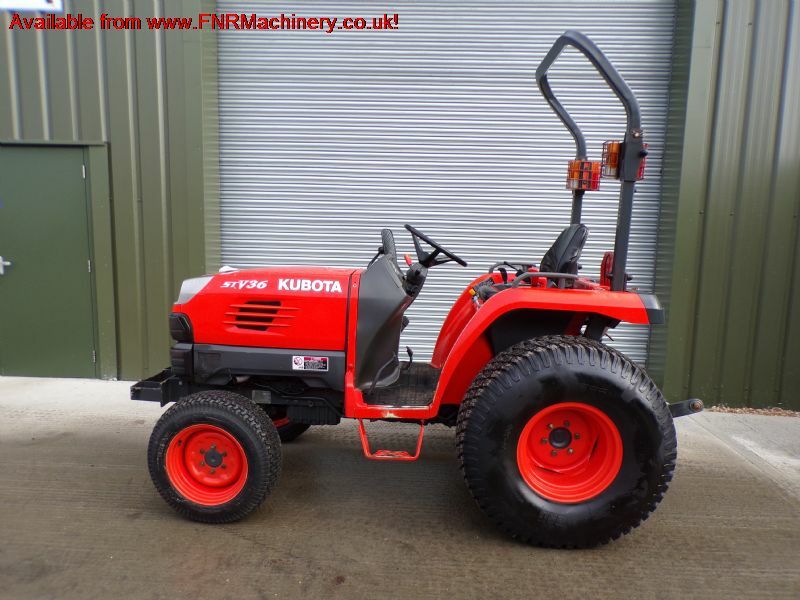 Kubota’s revolutionary Bi-Speed Turn feature helps to avoid turf damage through increased wheel speeds to limit ‘tyre drag� over grass surface. 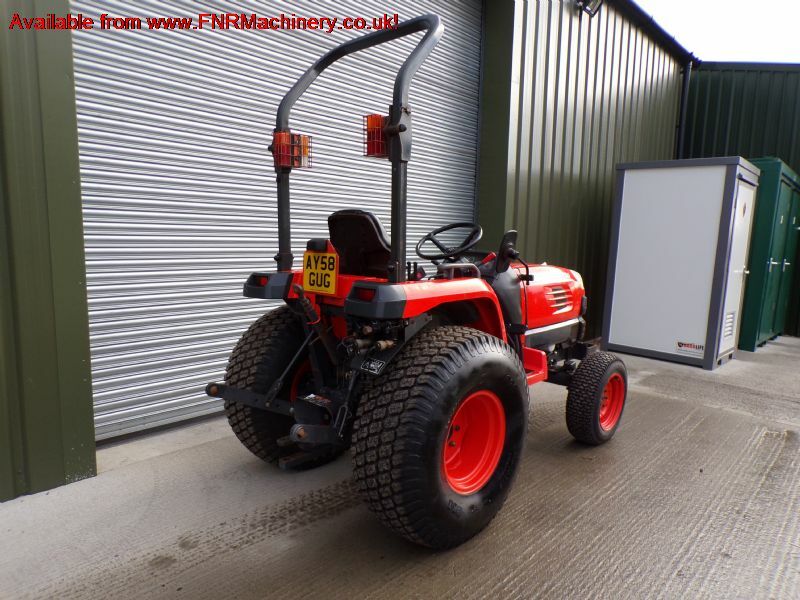 The compact and lightweight design translates into a faster, fuel efficient more effective tractor on any terrain. From the redesigned bonnet and advanced instrument panel to the ergonomic seat and innovative cruise control feature, the STV series provides increased ease of use, unparalleled operator comfort combined with maximum safety. Engine features such as low noise, vibration and emissions also help reduce operator fatigue.offers even greater comfort.